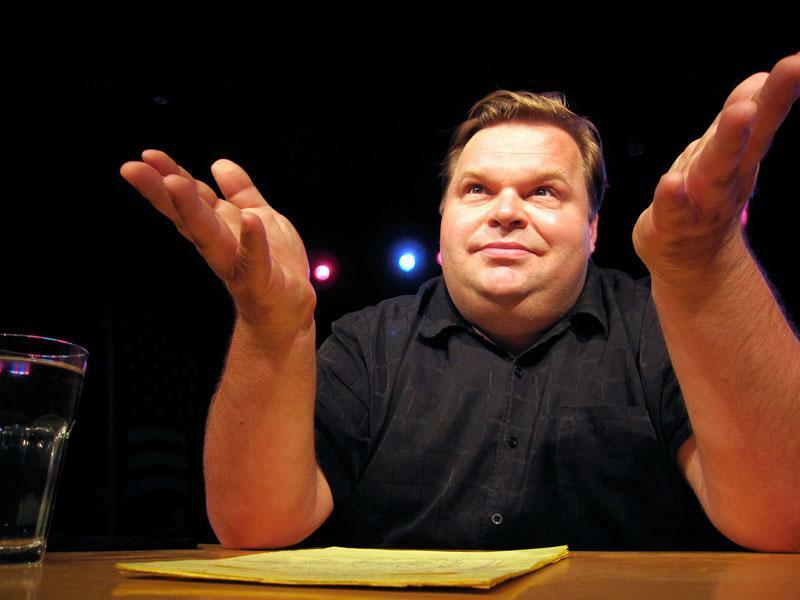 A British newspaper has published a meandering, conspiracy-chasing fantasy piece written by discredited theater-journalist Mike Daisey... in its technology section. Of the hundreds of columnists and pundits who have the experience and enthusiastic drive to generate some clickbait hit-piece imagining impending doom for Apple, The Guardian decided to publish the work of a theatrical actor, a man who so boldly and outrageously lied about Apple's factory conditions in China that "This American Life" issued an apology for giving him airtime and the New York Times had to retract claims Daisey made of personal experiences that turned out to be completely fabricated lies. Daisey initially insisted that his stories were true, attacking one of his skeptical critics with, "you insulted my integrity, and in a better world we should settle this in an alley outside a bar of your choice." However, after being outed by fact-checkers he eventually apologized to the journalists he lied to, explaining that, "things came out of my mouth that just weren't true, and over time, I couldn't even hear the difference myself." Three years later, Daisey is back, at a newspaper--which bills itself as "award winning independent journalism"--that featured his writing about Apple with a headline (brace yourself!) in the form of a question: "Apple spins impressive narrative of success, but are there holes in the story?" There's nothing really provocative or novel about Daisey's version of the cliche "what if Apple is doomed?" piece, which sounds like it could have been written up by any number of people who hate the company. It also doesn't really arrive at a conclusion; it's more of a philosophical exploration of the fact that nobody knows for certain what will happen in the future. Who's to say if Apple can maintain its steady pace of expertly maneuvered business acumen after so many years of incrementally building success upon success? Maybe one of the failing companies that can't even manage to copy Apple very well can take the lead! Or maybe an alien race will appear? Who's to say what could happen given so many possibilities that facts don't even matter anymore. It is instructive, however, that the piece repeatedly refers to Apple's financial reports as a "narrative," as if facts and opinions are still a little muddled in the mind of a man who is most famous for inventing narratives he claimed were facts before admitting that he has trouble telling the two things apart, because stuff that's not true has been coming out of his mouth for such a long time. Tim Cook, in Daisey's mind, "spun out his narrative of Apple's ever-increasing, ever-impressive numbers" during the company's quarterly scheduled earnings call (delivered on time "like clockwork," Daisey wrote, as if there's something particularly suspicious about all these "impressive" sounding stories landing right in the middle of earnings season). "Apple is the most profitable company on the planet today, and growing at about 30% annually - with numbers like those, who could see anything wrong?," Daisey writes, before ominously answering the question he set up with, "Well, there are signs, if you are interested in looking for them." Daisey is not just interested in looking for them, he's prepared to invent some. The first hole in Cooks' "narrative" where Apple plays the role of a successful global firm is that Apple sold 48 million phones, less than the collective guesses of analysts. Remember, it's not their estimates that were wrong, it's that Apple's actual sales differed by less than 1.5 percent from some outsiders' guesses. This is a concerning "trend," Daisey notes, because "Apple doesn't usually simply make its numbers - it exceeds them." The problem being: analyst estimates are not "Apple's numbers." Apple exceeded its own guidance (and exceeded analysts' expectations on revenue and earnings per share). Analyst estimates are an attempt to determine the actual performance of a company before it gets reported. They are not the target peak performance a company can achieve if it does everything right. That's why Apple can often beat those estimates. They are a guess of where the archer's arrow will hit, not a definition of the bullseye the archer is aiming for. Daisey shows he has a fundamental lack of understanding about how markets work, which is fine because he's a theatrical performer who tells stories, not a market analyst. The real problem is that the Guardian knows this, but hired him to write up financial analysis as journalism, fully aware that Daisey is not only unqualified to write about financials, but also can't purport an unbiased opinion about a company he built his current fame around willfully lying about because he thinks facts and reality don't matter if you have a good story idea. Apple reports in its 10K that revenue from 231 million iPhones made up 66 percent of the company's net sales last year. That's a big percentage, although less than the 90 percent of Google's total revenues tied to single product. However, saying that iPhone revenues "dwarf the rest of its offerings" fails to acknowledge that the other $78.6 billion that Apple brought in outside of iPhones was not a small number. It's $12 billion more than Google's $66 billion in total annual revenues last year. Intel's annual revenues were $56 billion, over $22 billion less than Apple's "dwarf" non-iPhone revenue. Trying to portray Apple's non-iPhone businesses as virtually immaterial next to the iPhone is simply dishonest. Immediately after calling Apple a "one-product company," Daisey then begins examining Apple's other product categories, each of which is worth $10 to $25 billion. The fact that Apple doesn't detail Apple Watch revenues or unit sales "means we don't really know how Apple's chronometer is doing," Daisey wrote, claiming, "If the news was truly fantastic we'd be hearing about it ... and very little was said at the last quarterly phone call." That's not true. Cook noted that "sales of Apple Watch were also up sequentially and were ahead of our expectations," and he detailed all of the accessories, new software update and new platform features Apple had added to the new product. In fact, Cook provided more details about Apple Watch software during the call than he covered for other products Apple sells, including iPhone. "Today, there over 13,000 apps on the Watch App Store, including over 1300 native apps such as Facebook Messenger, MLB At Bat, and RunKeeper, and the number is growing rapidly. 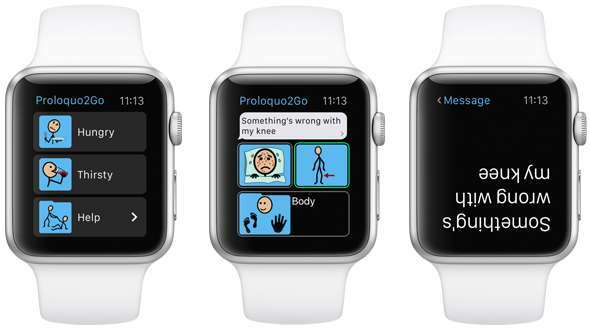 Apple Watch has already had a tremendous effect on customers' health and fitness, and the stories we're hearing about its impact are truly inspirational. I've personally heard from people who credit Apple Watch with saving their lives. And customers are finding new applications all the time in their day-to-day activities." Daisey then claimed that Apple "probably wishes it had an excuse to hide numbers on [iPad] as well," given that unit sales have been down sequently for "quite some time," (since last year, that is). However, Apple changed its unit reporting last winter, a year after iPad sales stopped showing exponential growth. If Apple actually wanted to hide iPad as an embarrassing failure, it could have done what Samsung and every other tablet maker on earth does: not publicly publish its sales numbers at all. The reality is that Apple's iPad, even after satiating market demand in the West, continues to lead tablet vendors globally with annual shipments of more than 54 million units, a business worth over $23 billion. It's growing in China in particular. This is worthy of note because Apple's tablet competitors are mostly lower end, much cheaper products. Apple is outselling every one of them in unit volumes, not just in profitability. The only way to make iPads look inconsequential is to compare Apple against the entire production of anything tablet-like produced on earth, collectively, as IDC does. Profits and volumes are not the same thing. Profitability is harder. 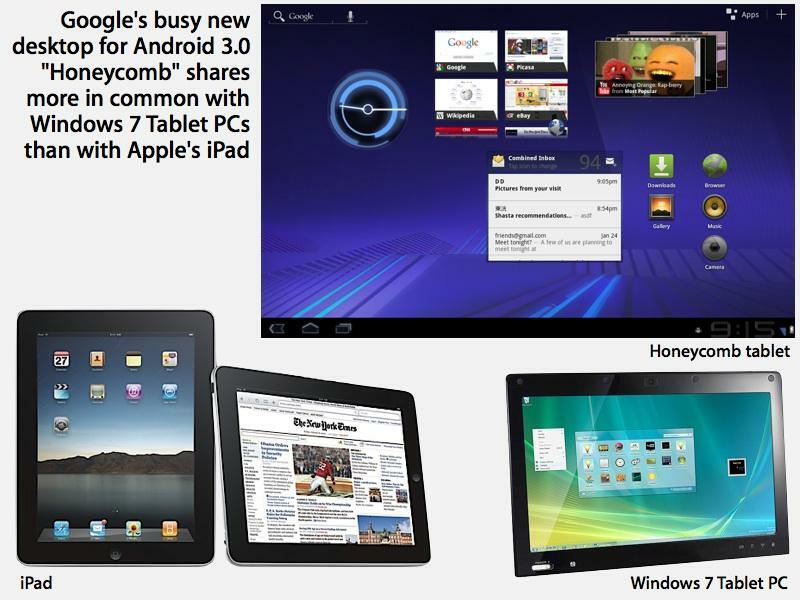 Google's attempt to sell 2011 Android Honeycomb tablets (below) that cost more than iPads failed entirely, along with efforts by HP to sell premium Palm webOS tablets. Microsoft's Surface line of expensive tablet-laptops amounts to nothing next to the iPad. The only thing that can beat Apple's current iPad business is Apple's iPad business from 2013, before Apple began selling larger iPhones and the new Retina Macbook. And it's not just Apple's tablets that are slipping; the entire global market for tablets is down. So to say that iPads are in trouble is just fantastically simpleton fallacy. Apple is expertly capitalizing on sucking up all potential profits in tablets, not trying to increase production of products it can't sell at a profit because of a lack of demand. If Apple were building and shipping iPads in ever increasing numbers as it ate into its own profitability, that would actually be a problem. That's not happening. Daisey complains that iPad was "once spoken of [by Apple] as the post-PC device that would change the nature of computing forever, now that it has been selling less and less of them this kind of revolutionary rhetoric has vanished." Again, that's not true. As excitedly as he can, Cook stated that, "next month, we'll begin shipping iPad Pro, the most powerful iPad we've ever made. iPad Pro will enable a new generation of apps for entertainment and productivity, design and illustration, engineering and medical, and much more. And with the Apple Pencil and Smart Keyboard, users can customize their experience, making iPad Pro an even more powerful tool for everyone from students to artists to business professionals." It was the analysts on the call who didn't bother to ask about iPads. Cook was so surprised by this that he stated, "you know, nobody's asking me about iPad on the call, but if you look at iPad as just an example [of sales patterns], in China, 68 percent of the people that purchased an iPad, it was the first tablet they've owned, and 40 percent of those had never owned any Apple product." That's the complete opposite of what Daisey claimed: Cook wasn't avoiding iPad talk; he was bringing it up. Over the past year, Cook has maintained his outlook that iPads will have an transformative effect on "the nature of computing." However, that "revolutionary rhetoric" has only toned down because it's no longer just a prediction of hope. 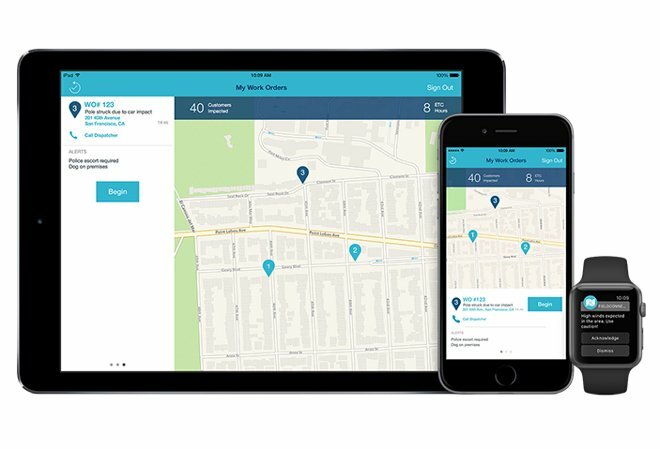 Cook announced, "we're making great strides in the enterprise market, announcing a new strategic partnership with Cisco in September while furthering our progress with IBM in building our mobility partners program." Those programs are mostly centered around iPad. Cook is no longer talking about iPad's potential because he's seeing it play out. If Daisey had any real insight into the current state of enterprise computing, he'd understand why revolutionary rhetoric has turned into reported realities. Instead, he seems to only have a clear view of the preformed ideas that reside in his own head, which involve ideas like "Apple must be hiring 15 year olds because I find that plausible and a compelling story to act out on stage." Cook added, "we estimate that enterprise markets accounted for about 25 billion dollars in annual Apple revenue in the last twelve months, up 40 percent over the prior year, and they represent a major growth vector for the future." A lot of that enterprise growth is coming in the form of iPads. Android tablets are not encroaching upon this market. And compared to consumers, the enterprise is less cost sensitive and likely more brand loyal, particularly after investing in custom apps tied to iOS. "As Apple finds it more profitable to be a gatekeeper taking tolls than it does making Macs, it raises questions about what identity it will have going forward," Daisey complains. This could all be avoided if Apple would stop innovating and growing and trying new things! Then we could go back to 2006 and not have to worry about Apple potentially changing into something other than a niche PC maker. It could perpetually be that lovable underdog always on the brink of doom. And because it's not, we're all doomed, Apple included. And at the same time, Apple is also doomed because the iPhone is so successful, Daisey muses, that as time goes on its likelihood of doom increases. None of this makes any sense, but everyone else is saying it too so it doesn't really stand out as particularly insane until you examine it. "The longer that [iPhone] is Apple's only crown jewel the better the chance they will be disrupted," Daisey claims, as if having proven some new theorem with a chain of facts and logic. But that's not true. Apple has a series of crown jewels: a $23.2 billion iPad business, a $25.5 billion Mac business, a $20 billion Services segment, and that $10 billion Other Products category that includes Apple TV, Beats, iPods, accessories and Apple Watch. That segment grew by 20 percent over the past year, reversing its 17 percent decline from 2013. There is no hint of anything disrupting Apple's current businesses. And if some disruptive new product category were to materialize, no company would be better positioned to capitalize on the opportunity than Apple, given its size, capital, connections and talent pool. This just played out in tablets and again in watches, to anyone watching with their eyes open rather than blindly rehearsing a scripted monologue. The only thing more shameful than Daisey's made-up tales of doom is the fact that the Guardian saw fit to print the rambling fallacies of a man who admitted that he can't even tell when he's lying anymore because he's told so many false stories that he's lost track of what the truth is. And that they published it 7 months late for April Fools Day.